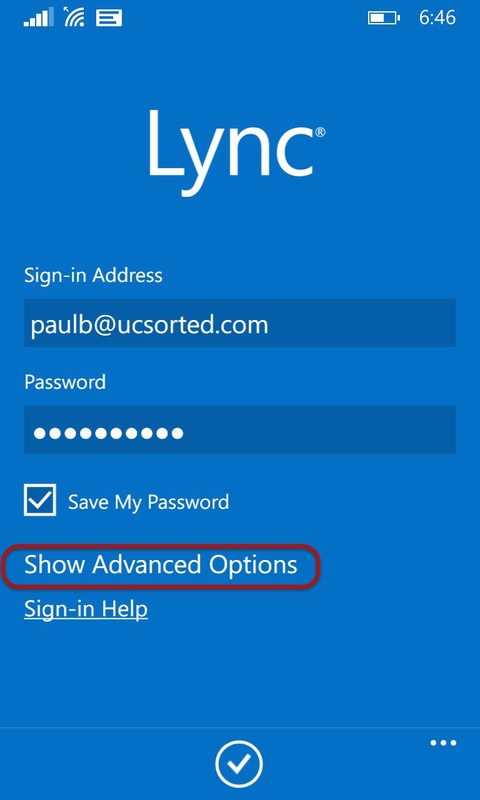 Lync Mobile Client won’t sign in. Tests from testconnectivity.microsoft.com are successful. 401 – Unauthorized: Access is denied due to invalid credentials. Mapped error message is ‘We can’t sign you in. Please check your account info and try again. Clearly there is some issue with your credentials. 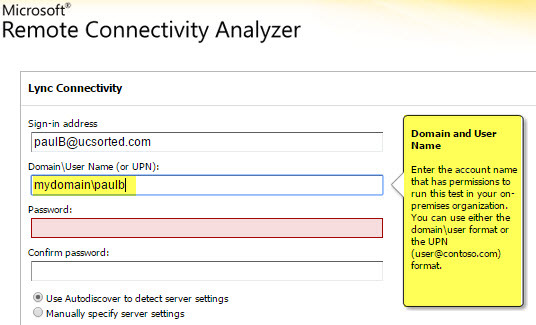 The issue is that the mobile client does not require or prompt the user for the Domain\User Name (or UPN). The field is actually a little hidden and thus often overlooked. You can find it in Show Advanced Options. 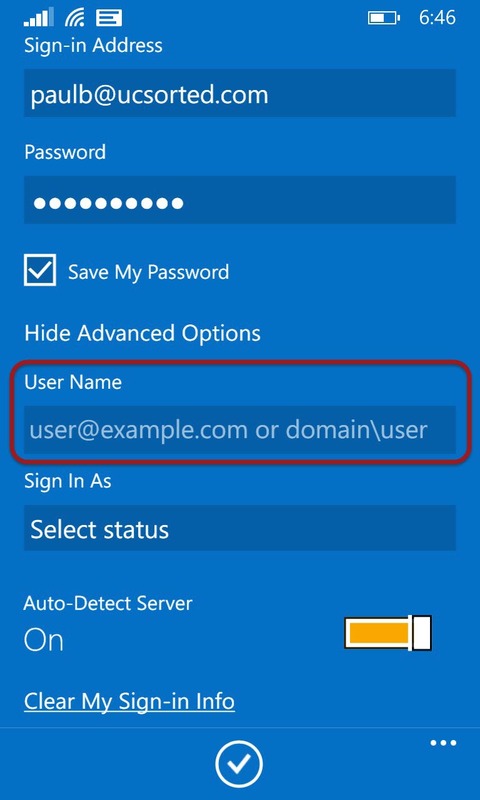 If you enable UPN Naming for the user account and the SIP address is also the UPN address then the mobile user does not need to provide the User Name in Advanced options.